Retirement planning is a lifelong process that takes ample organization, forethought and effort to do successfully. The easiest way to manage this sometimes overwhelming venture is to split your retirement planning into different sections. Lucky for you, there are already five main stages to retirement that you can reference if you’re unsure of where you stand or what you should be doing. What Are the 5 Stages of Retirement? The path to and through retirement has taken many different versions over the years. In general, though, there are five main stages that most retirees will stick to. This starts with the decade or so leading up to the date of your retirement all the way through to when end-of-life care comes into play. Don’t let the financial decisions embedded within this quintet of steps make you nervous. Like anything in life, the best way to deal with challenges is to create an efficient plan and hold to it. To ensure you feel comfortable, start your retirement planning as early as possible, even if it’s simply by contributing to your company’s 401(k) plan. If you don’t already have one, consider meeting with a financial advisor to determine your next steps. 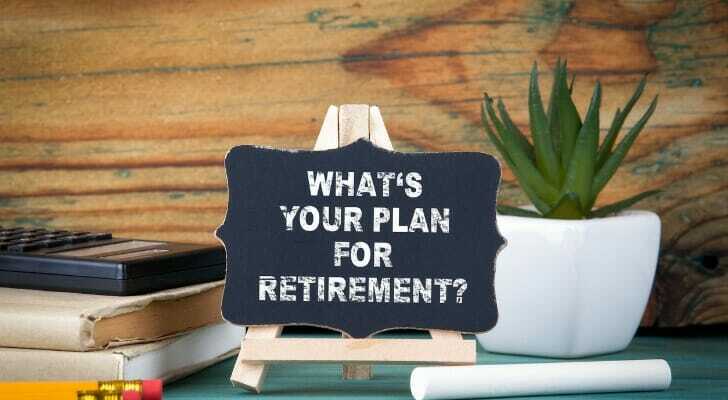 You should also adjust your investment strategy for both your investment portfolio and your retirement savings. Experts generally recommend becoming more conservative as you get older, since you’re getting close to needing the funds. This robust phase is marked by the final 10 to 15 years leading up to the day of your retirement. Use this time to make sure that your retirement accounts, including IRAs, 401(k) plans, 403(b) plans and other savings vehicles, are in good shape. You should continue to contribute to your tax-advantaged accounts, such as a health savings account (HSA). The funds in your HSA carry over from year to year and provide excellent tax benefits. Plus, you can make penalty-free withdrawals after age 65. Funneling some retirement savings into your HSA can be a great retirement savings strategy, especially if you’ve already maxed out your 401(k). This is also a great time to research Social Security. Look into when you’ll start receiving payouts, how much you’ll earn and how it will factor into your overall budget. According to Social Security Administration data from Dec. 2018, the average Social Security monthly benefit is $1,461. As a result, these benefits shouldn’t be your only influx of cash. You may decide to hold off on your Social Security disbursements until you reach full retirement age, which varies depending on your birth year. Keep in mind that the earliest you can receive Social Security is age 62. When you turn 70, though, your benefits will max out, so it won’t be worth it to keep holding off . Another major consideration for those in pre-retirement is Medicare. The cost of healthcare is one of the largest expenses you’ll incur during your retirement years. 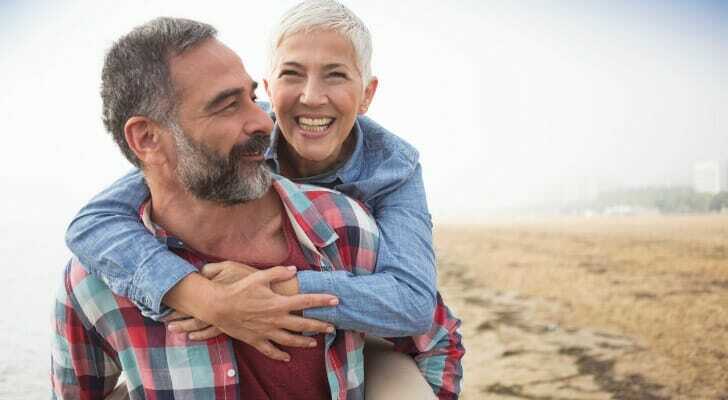 In fact, a 2019 report from Fidelity estimates that the average couple will need $285,000 to pay for healthcare in retirement. And that doesn’t even include long-term care. In turn, make sure your healthcare plans are in order before you retire. This is the period of time immediately following your retirement. This phase is often marked by feelings of happiness or euphoria. After all, you’re finally free from the confines of your job to take up a new hobby, go on a trip or simply spend some time with your family and friends. However, it’s important to continue to live frugally during this phase of retirement, even if you have that itch to travel or to pamper yourself after a long career. This phase is also a good benchmark for how well your retirement savings will carry you through the rest of your retirement. If you find yourself falling a bit short, this is the time to adjust your retirement budget. Early retirement typically occurs around age 70, though this can vary depending on when you actually retire. At this point, you may consider downsizing certain aspects of your life to save funds. Since your family is likely smaller than it has been in years past, many early retirees will look to sell their home and move into a smaller place. You might also find yourself selling a secondary car or fine-tuning other areas of your financial life. Keep in mind that once the honeymoon stage of retirement is over, it’s common to experience feelings of disorientation, loss of purpose or even depression. The transition from working full-time to becoming a retiree can be tough. To avoid this, try to keep busy and maintain some semblance of a routine. Consider volunteering or even working part-time to combat these feelings. Once you surpass age 70, you’ve hit mid-retirement. This is the time that you dreamed about while working your last few years in your respective career. Mid-retirement should be when you feel as though you’ve figured out this whole retirement thing, from your routine to your budget to your travel schedule. If you planned well for retirement early on, this is when you’re enjoying your hard-earned feelings of financial stability. This should make it significantly easier to travel with your spouse or family members, spend some quality time with your children and grandchildren and perhaps even make a few new friends. A major characteristic of mid-retirement is your ability to remain physically active. Don’t forget to keep your long-term needs in mind, though. Retirees in this stage usually start to consider end-of-life care insurance. This can save you and your loved ones a lot of money and trouble when and if your health declines. No one wants to consider the day when part-time aid or around-the-clock care could become a reality. That day may come later than you think, though. According to the Centers for Disease Control and Prevention (CDC), life expectancy in the U.S. is on the rise, and currently sits at 78.6 years old. Regardless, it’s wise to prepare financially and emotionally for a time when you may be less mobile or require more care. It’s also important that you put these plans in place before you reach this phase. Update your will and power of attorney and keep it in an easy-to-find place. Finalize your end-of-life plans, any funeral or memorial wishes and, if you need it, utilize your end-of-life care insurance policy. Take this time as an opportunity to have honest and open conversations with family members. Make sure that everyone is on the same page when it comes to your care and end-of-life wishes and is informed on matters of power of attorney and last will and testaments. Retirement is a personal journey, but it’s helpful to use the above guide to know roughly where you stand. There are so many retirement factors to be mindful of that adhering to this structure can offer many organizational benefits. Like anything in finance, though, don’t get caught up in comparing yourself. Just because you’re a little ahead or behind of these stages doesn’t mean you should worry. When working on your retirement income plans, don’t forget to take Social Security into account. You’ve been paying into this fund for your whole life, so you may as well take advantage of it. To determine how much you’ll receive from the federal government, use SmartAsset’s Social Security calculator. Financial advisors often deal with clients who are working on long-term financial plans. This makes them great partners for anyone who might feel a bit lost planning for their retirement on their own. For help finding financial advisors in your area, try SmartAsset’s financial advisor matching tool. All you have to do is answer a short questionnaire, and you’ll be paired with as many as three local advisors who fit your needs. The post A Guide to the 5 Stages of Retirement appeared first on SmartAsset Blog.